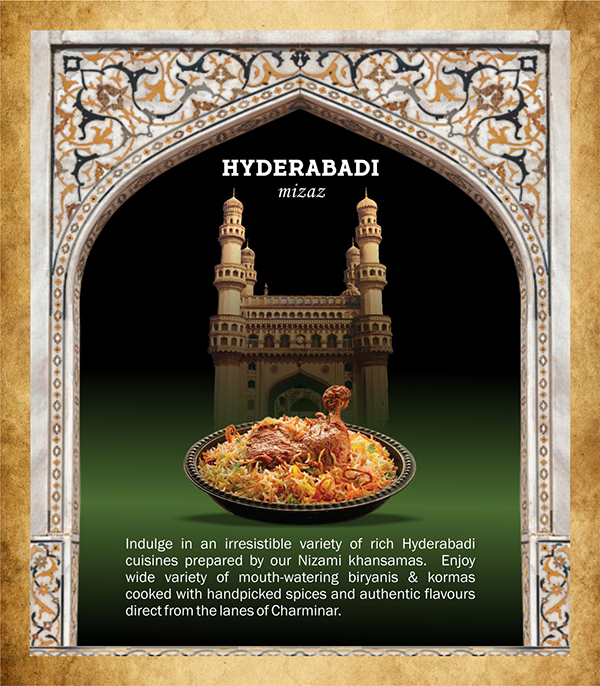 Indulge in an irresistible variety of rich Hyderabadi cuisines prepared by our Nizami khansamas. 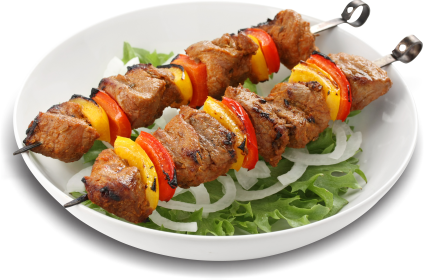 Enjoy wide variety of mouth-watering biryanis & kormas cooked with handpicked spices and authentic flavours direct from the lanes of Charminar. 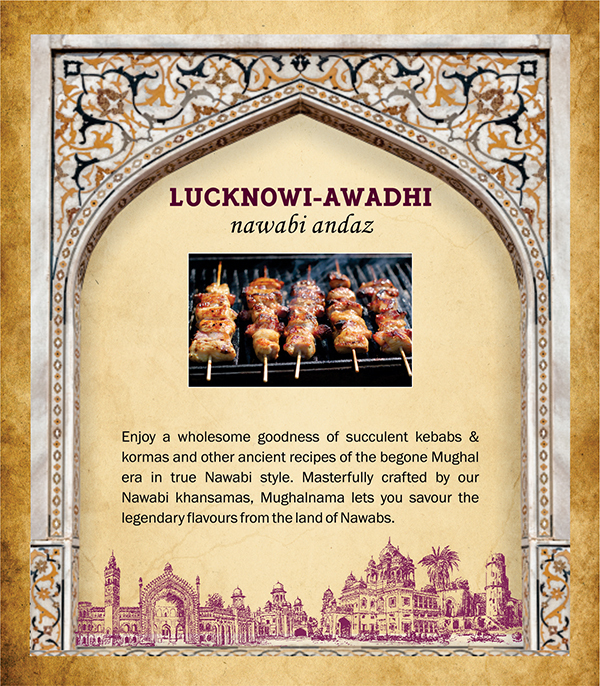 Enjoy a wholesome goodness of succulent kebabs & kormas and other ancient recipes of the begone Mughal era in true Nawabi style. 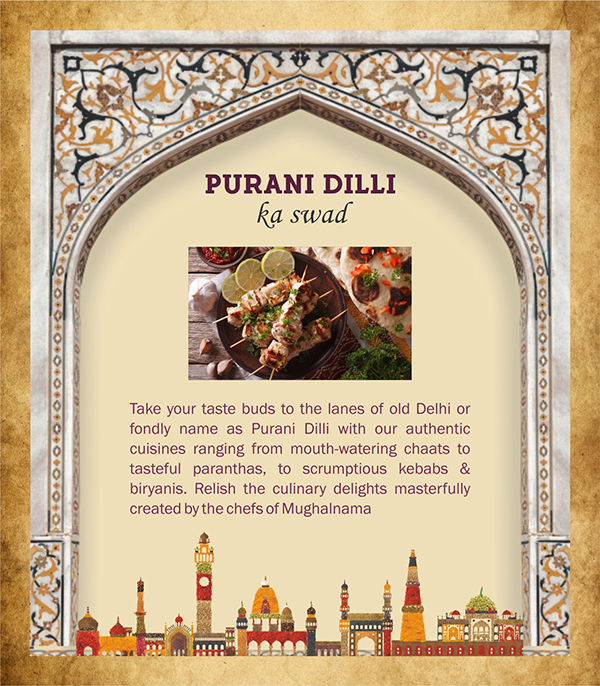 Masterfully crafted by our Nawabi khansamas, Mughalnama lets you savour the legendary flavours from the land of Nawabs. 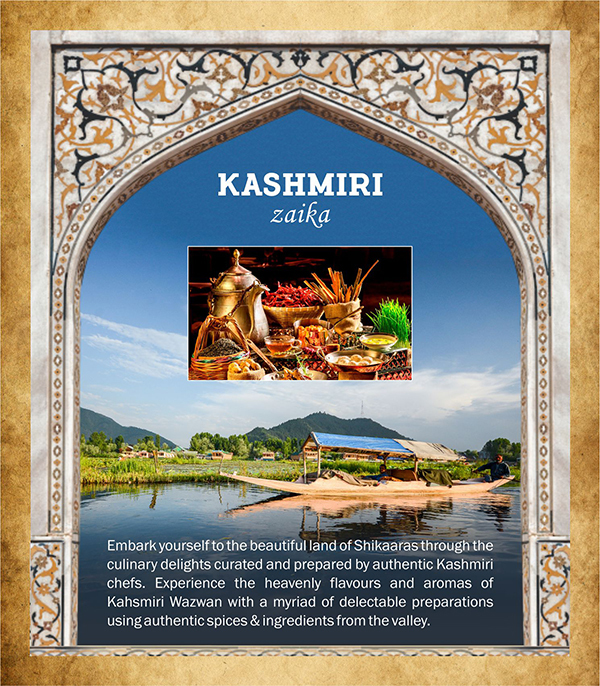 Embark yourself to the beautiful land of Shikaaras through the culinary delights curated and prepared by authentic Kashmiri chefs. 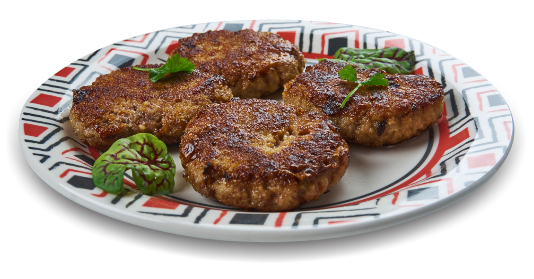 Experience the heavenly flavours and aromas of Kahsmiri Wazwan with a myriad of delectable preparations using authentic spices & ingredients from the valley.